We all know that France and Switzerland are famous for their cheese, from Camembert to Gruyere, and cheese dishes like Fondue or Raclette. Cheese forms a big part of the local culture in the Alpine regions. Consequently, countless stories surround the production and even the names of the cheeses. As a lover of local cheese, whether cooked or cold, I thought it would be a good idea to write a blog post on some of the folklore and history surrounding the cheeses of the Alps. Some cheeses are named for the village or area where they come from, such as Gruyere, Beaufort or Morbier. Others are named for how they are used. Raclette is French for ‘scraper’, referring to the tool that is used to scrape the melted cheese onto bread. Raclette as a meal dates back to at least the 12th century. Cowherders would place half-wheels of cheese by the campfire in the evenings until the side facing the fire was soft enough to scrape onto their bread. Legend has it that eating Raclette gave William Tell the strength to draw his crossbow. Modern restaurants serve a block of Raclette cheese with an electric heating element and a scraper, along with bread and potatoes. Depending on where you are in France or Switzerland it is traditional to drink tea, white wine or schnapps with melted cheese dishes like fondue or raclette. It is held that drinking anything else with melted cheese will cause it to harden in your stomach, risking indigestion. That said, I enjoyed red wine with a reblochonade (melted Reblochon) for lunch today and my stomach is feeling fine so far. Some of the most interesting cheese names give clues to the history of the cheese. One of these is Reblochon, which owes its existence to a 13th-century tax dodge. In the Thônes Valley, as elsewhere in the Alps, landowners would collect a tax from tenant farmers based on the amount of milk produced in a day. On collection day, sneaky farmers would only partially milk the cows before the inspectors arrived, so that the milk yield appeared to be smaller. Afterwards, they would milk the cows again for the remaining milk. The second milking produced a creamier milk which was used to produce a soft, creamy cheese. The name comes from the old-French word reblocher – to re-milk a cow. 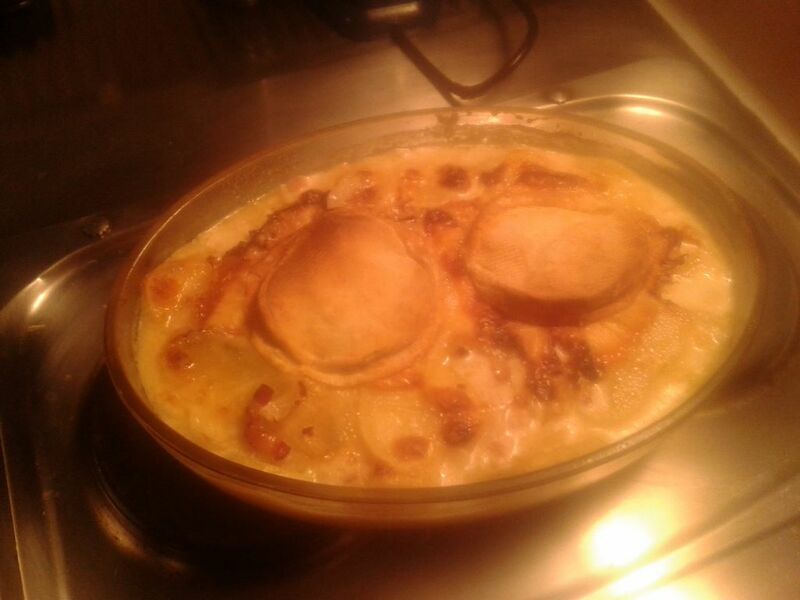 The best-known recipe which uses Reblochon is tartiflette. 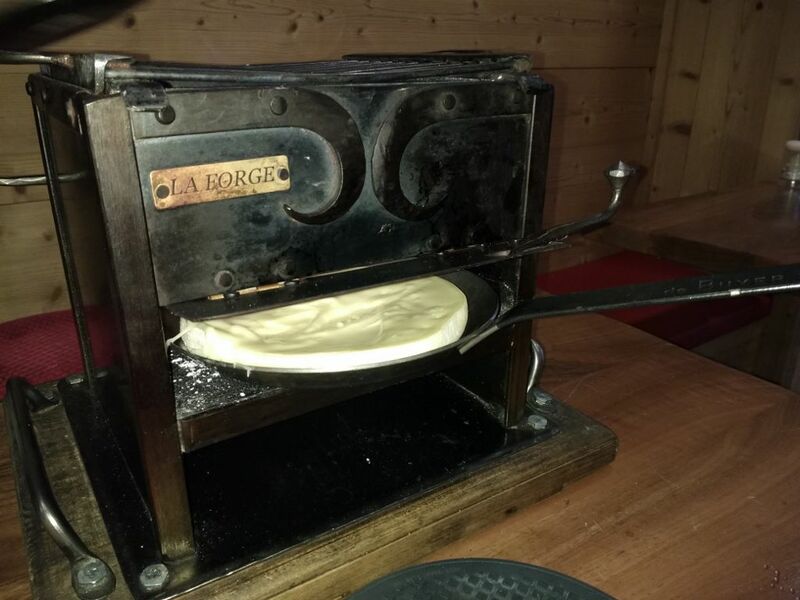 This is famous among skiers as a traditional Alpine staple and is served in rustic restaurants across the French Alps. All of which is remarkable for a dish that was invented barely thirty years ago. It was popularised by the Syndicat Interprofessionnel du Reblochon in a successful bid to boost sales of the cheese in the 1980s. There is a genuinely traditional dish which is very similar called péla. This is cooked in a long handled frying pan, the péla, with potatoes, onions and leftover cheese. The cheese would often be reblochon, and meat might be added if available. Tartiflette is cooked in the oven, rather than a pan, and the recipe always includes reblochon, white wine and diced bacon. Another intriguing cheese is Morbier which is easily recognisable from the black line which runs through it. Historically, this came about when cheese makers producing Comté did not have enough curds left to make a complete cheese. They would half fill the mould with curds and cover it with a fine layer of ash to protect it. In the morning, they would complete the cheese using curds from the morning milking. Cheese made in this manner was kept aside for the family’s own consumption and not sold with the Comté. I have heard it said that it was possible to taste the difference between the two layers, coming from different milkings. These days, however, the ash layer is purely decorative and both halves of the cheese come from the same milk. One of the best known Alpine cheeses is Gruyère. Despite being known worldwide as an archetypal Swiss cheese, and sharing a name with a Swiss village, the origins of the cheese have been fiercely contested between Switzerland and France. French Gruyère producers insist that their version is the original, and that the name comes from a French government official – the Gruyer – who would collect taxes in the form of cheese. It seems likely that cheese in the Gruyère style has been produced in this part of the world since long before the Swiss-French border divided it in two. This excellent article gives a good background on the subject, but there have been developments since it was written in 1995. 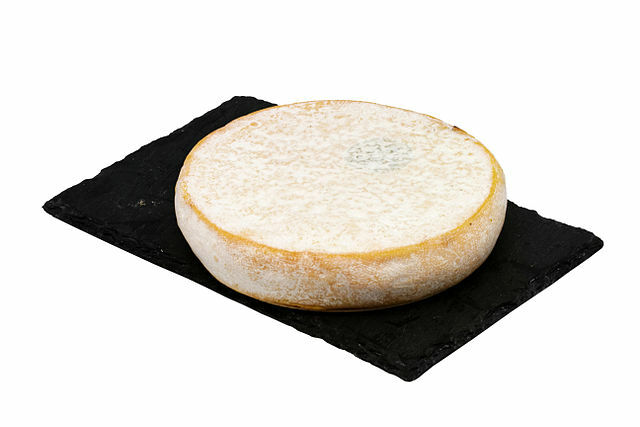 French Gruyère now has IGP status, while the Swiss version has the more prestigious AOP protection for its name. I am sure there are plenty more cheese stories out there. Let me know your favourites in the comments. Mouth-watering article! My favourites are Tomme de Savoie and Mont d’Or. When will I have a chance to taste them next time…? Thanks Masa. I do like a good Tomme de Savoie as well.